Dental implants require only the same care you should give to your natural teeth. This includes daily brushing and flossing, eating a nutritious diet, drinking alcohol only in moderation, and avoiding tobacco and vaping products of all kinds. Giving a precise answer to this question is difficult, since each patient is unique. A good rule of thumb, however, is to expect dental implants to last from 20 years to a lifetime with reasonable care. Some factors that can affect this estimate include the patient’s overall health and lifestyle choices. 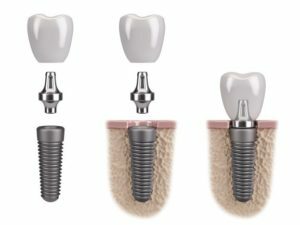 Dental implants in Framingham are a chance at a new life. What happens after they’re in place is largely up to you. The better you take care of yourself, the more likely they are to go the distance. Your dentist will be glad to give you helpful tips on making the most of the restoration. Talk to him or her about implants and other restoration options during your next appointment. Whichever option you ultimately choose, we wish you nothing but the best as you open a new chapter of your life. Dr. Marianna Gaitsgory earned her DMD degree from the Goldman School of Dental Medicine at Boston University. Her diverse range of training and experience gives her the ability to treat a wide array of dental problems. You can reach her office online or by calling (508) 875-0900.